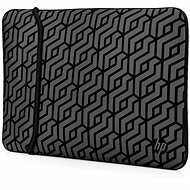 HP Reversible Sleeve Geometric 15.6"
HP Reversible Sleeve Black / Silver 15.6"
HP Reversible Sleeve Geometric 14"
This high-quality neoprene sleeve with interior plush lining adjusts to fit the shape of your laptop very easily. It keeps your laptop scratch-free and protects it from minor impact. The sleeve is the ideal companion for frequent commute. The unique asymmetrical zipper makes sure that you can comfortably access your mobile office from the top and the side of the sleeve. You can easily place the sleeve in any backpack or shoulder bag of an appropriate size, so you no longer need to carry around two bags instead of one. For shipping to other EU countries visit this page BELKIN F8N160 Black-Red. 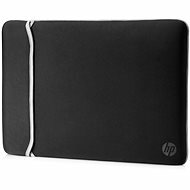 Für Versand nach Deutschland, besuchen Sie bitte BELKIN F8N160 schwarz/rot, 15.6". Chcete doručit zboží do Česka? Prohlédněte si Belkin F8N160 černo-červené. Chcete doručiť tovar na Slovensko? Prezrite si Belkin F8N160 čierno-červené. Für Versand nach Österreich, besuchen Sie bitte BELKIN F8N160 schwarz/rot, 15.6". Magyarországra történő kiszállításért tekintse meg ezt a termékoldalt: Belkin F8N160 fekete-piros.